We carry a unique collection of high-quality formal tuxedos in a variety of colors. From the bright yellow tuxedo to our classic black tuxedo, we have a tuxedo that will get you noticed at your next formal event not only with your bold colors but your classic, sophisticated style. 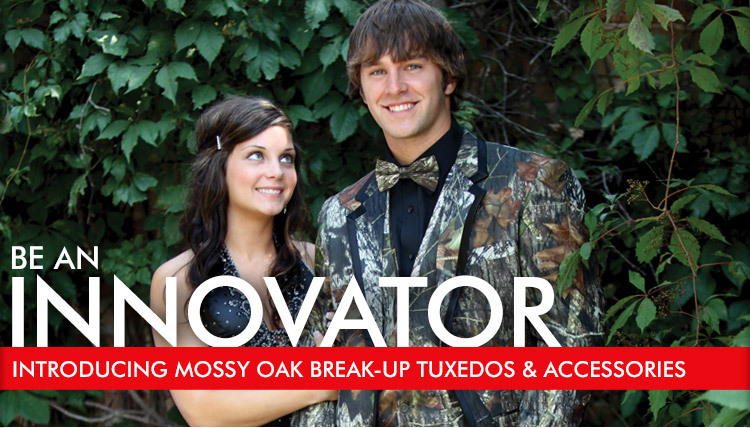 Show off your sense of style while maintaining a look perfect for any formal event with the Mossy Oak print. All of our formal tuxedos are available for rent, purchase, or wholesale purchase. Our shopping options along with our wide variety of colors, prints, and styles makes Bright Colored Tuxedos the ultimate destination for your next formal event, including proms, dances, and weddings. Not only do we have a great collection of tuxedos, but we also carry the accessories you need to take your tux to the next level. 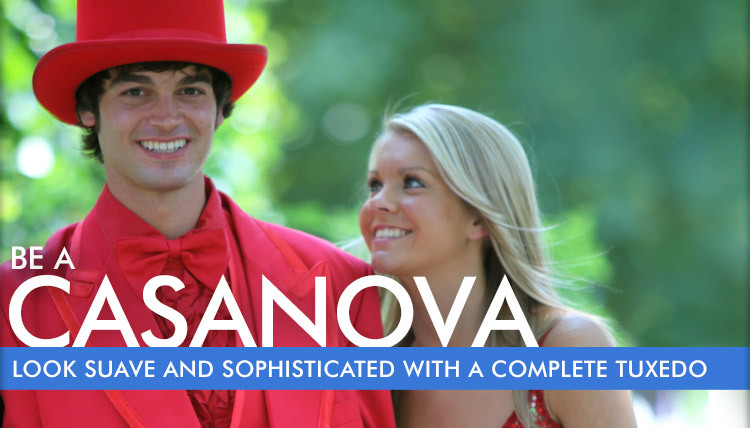 From classic accessories such as wool and felt top hats to fun additions like a matching cane or pair of socks, our complete collection of tuxedos and accessories is sure to bring your formal event to life. And at great prices, you won't be able to resist coming back to us time and time again for all of your formalwear needs! Reserve your tuxedos online for your event through our state-of-the-art shopping cart. With our safe and secure shopping cart, you can purchase your tuxedo online. See our wholesale information page to learn about our wholesale program. From online rentals to large wholesale accounts, we care about the needs of every customer. Our friendly and knowledgeable customer service representatives are available to answer any questions you may have about any of our products and they are committed to providing you with the best shopping experience possible. 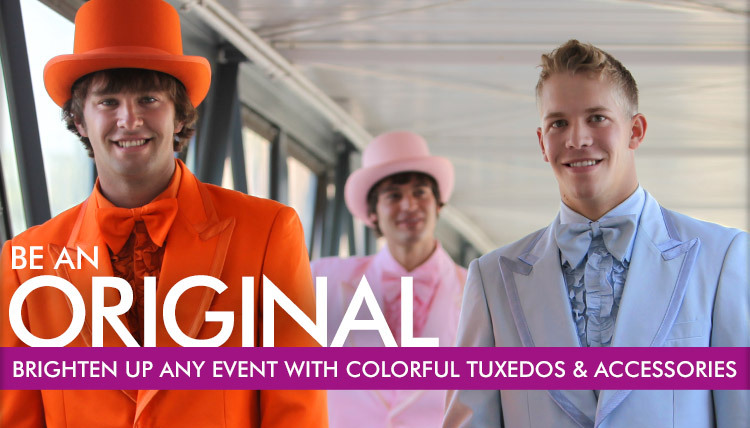 With unbeatable prices, unique and quality product, and a friendly service team, you cannot go wrong with Bright Colored Tuxedos.